The end of the calendar year for the PGA Tour schedule brings The RSM Classic. Played at the beautiful Sea Island Resort in Sea Island, Georgia, The RSM Classic unfortunately draws a weaker field of golfers. 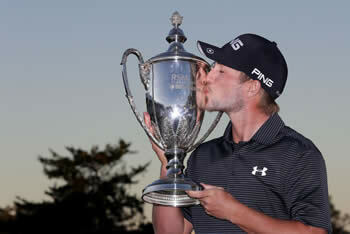 Made up of defending champions, rookies, and others trying to hang on to their PGA Tour card, this field of 156 has a few big name golfers that you will know, but not too many. If you are relying on expert picks from sites like RotoQL.com, you will have an advantage over the ordinary fantasy golf player that is simply doing their own research for this week’s tournament. The 2018 RSM Classic is the last PGA Tour event of 2018. There are some small unofficial golf events played but none that will be found for fantasy golf players at any of the top fantasy golf sites. Played on two courses - Seaside and Plantation courses at Sea Island Golf Club, the field for the 2018 RSM Classic will be a weak field as many PGA Tour players have packed up their clubs and either headed home for the holidays, or are preparing for some smaller invitation only events that aren’t part of the PGA Tour schedule. This is your last chance to win some money playing fantasy golf at FanDuel and refine your game for all the contests that you'll be able to play in 2019. Take advantage of our Deposit Bonus at FanDuel when you JOIN HERE. 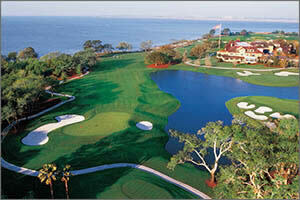 The RSM Classic tournament began in 2010 as the McGladrey Classic. In 2015, RSM took over as tournament sponsor. Last Chance! The PGA Tour schedule is done until 2018 and the Sentry Tournament of Champions so if you want to win some spending cash for Black Friday sales or for Christmas presents, you better put in multiple entries into the various Fantasy Golf Contests that FanDuel runs. You’ll know a few names listed in the Field for The RSM Classic but you’ll also see a lot of players that you’ve never heard of. The guys at RotoQL have heard of them and they know how to find Expert Golf Picks for The RSM Classic. Check them out (after you’ve signed up to FanDuel) and make your fantasy golf picks based on what the experts in golf have to say.